When all the buzz surrounding a wedding has died down, one might think that all the work is done. Unfortunately, this is not the case. 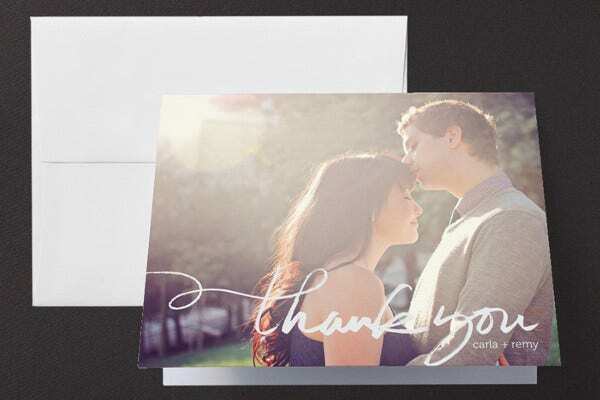 There is one fun, last step that needs to be undertaken—sending thank-you cards! 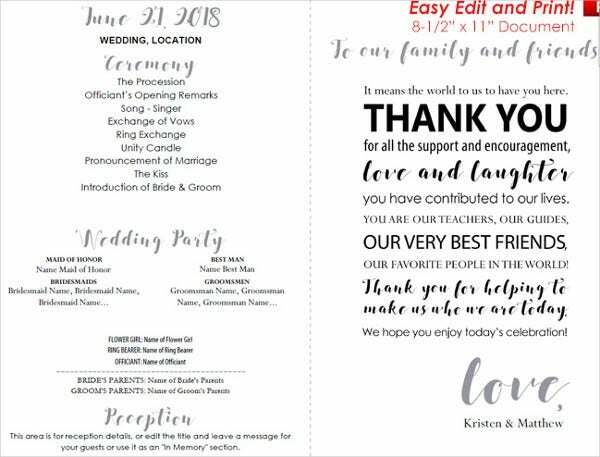 We have a vast array of wedding Card Templates in store for you in this article and on our website, and all are wedding themed, customizable, and available to download. Keeping track of all the things you need to do in a wedding is filled with a lot of pressure—we know this is an understatement—so we are helping you out the entire way with our templates and some tips to make this experience very smooth for you. You might think that the thank-you toast at the end of the party or a simple text message is an adequate manner to thank the people you have invited for their time and presents. But thank-you cards offer a more personal touch than that. 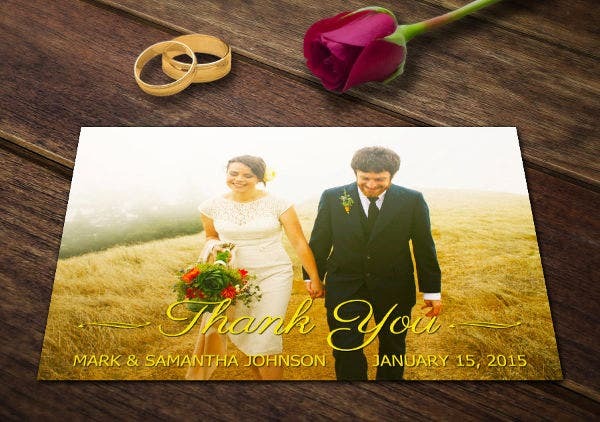 They allow you to personalize your messages to all who came and added so many good memories on the day you tied the knot. 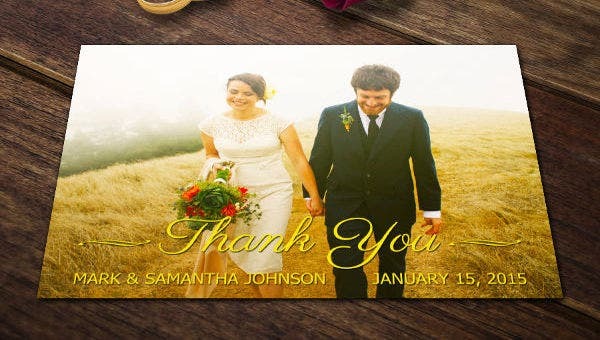 Now, the thought of individually thanking the people who showed up at your wedding might put you off. But we are here to help you all the way. 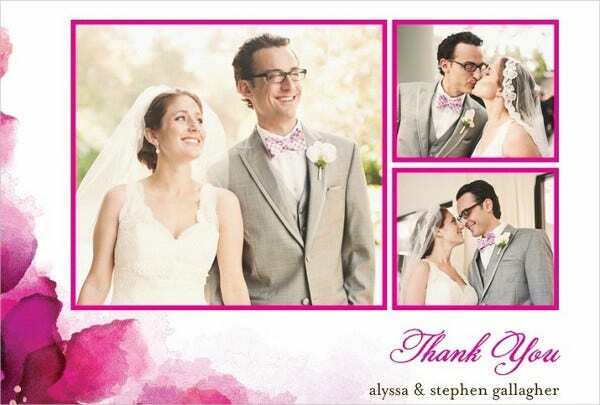 Our Wedding Card Template will help you out with your thank-you message. 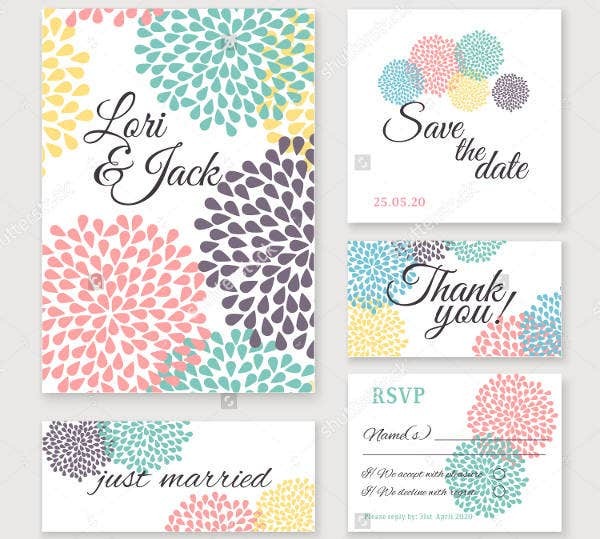 And to match, these card templates have a matching Wedding Card Envelope Template. Thank-you cards are your perfect opportunity to show your gratitude for the presents that you have received on your wedding day. 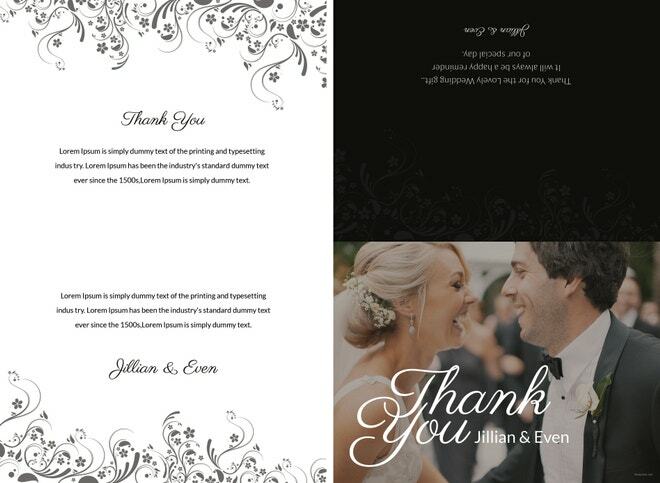 Our card templates allow you to state how much you appreciate the gift and how useful this could be for you and your partner to start off your wedded life. 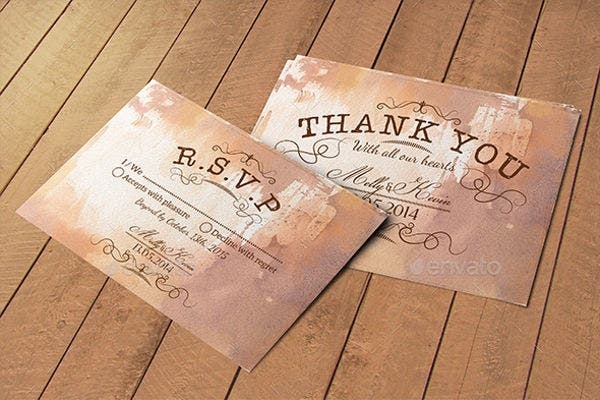 Plus, for your guests to get a personalized message from you communicates your sincerity in recognizing how they made your special day so much better for you. 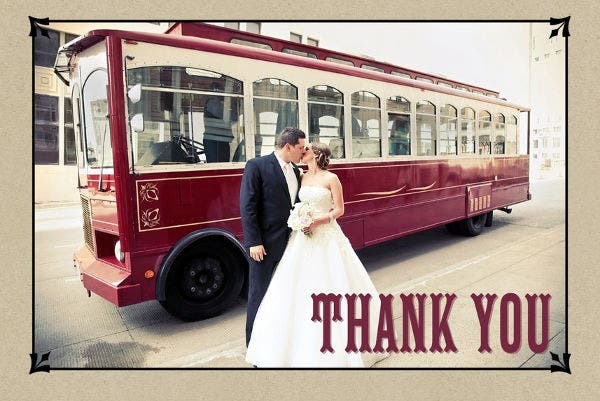 Decide which of our Wedding Thank You Cards you wish to use and send out. Prepare these even before the actual wedding has even happened so the daze of picking out cards happens in one moment of your entire wedding preparation process. Keep a record of your guests and the gifts they gave you. Creating a sheet of your guests’ names, contact information, address, and, more importantly, the gift that they gave you will save you from playing the guessing game of who gave what and which card to send where later on. 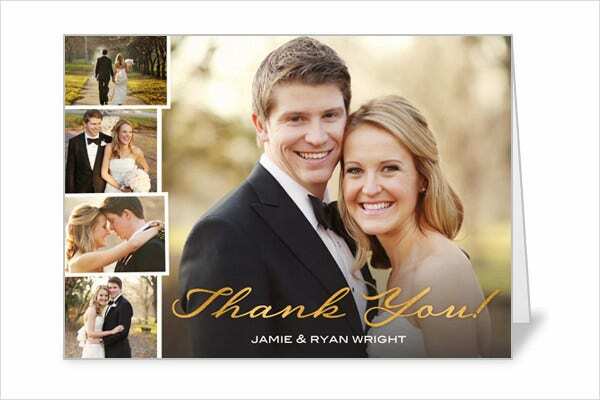 Create a timeline of when to prepare your thank you cards and stick to it. Wedding gifts may even start pouring in the moment you announced your wedding, so creating a schedule and a record is helpful early in the process. Setting up a timeline will also help you keep track of major tasks like when to print all your cards out, so you are sure to never miss a task.